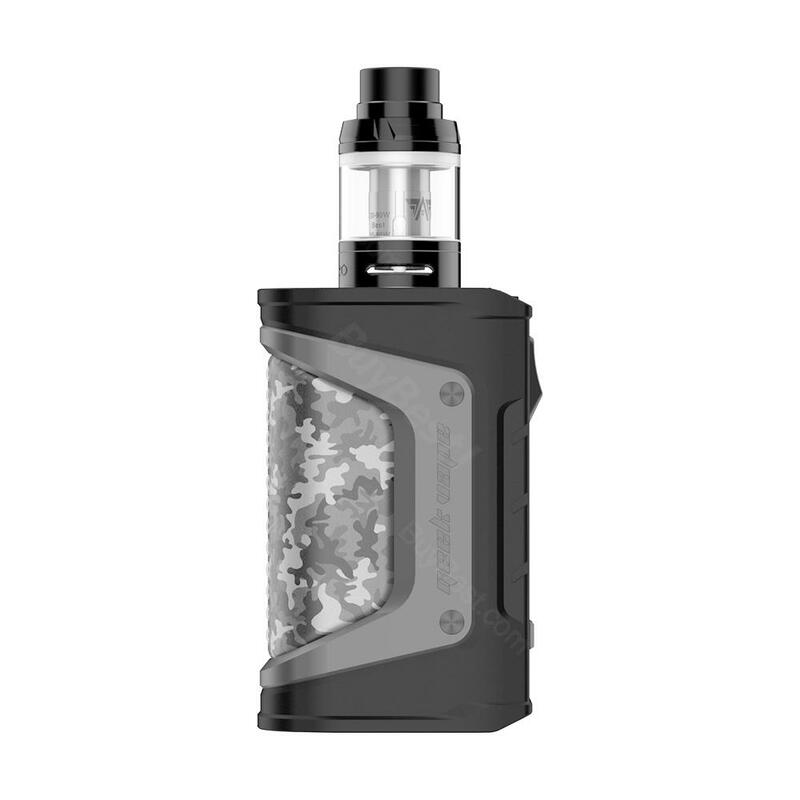 The Aegis Legend MOD and Aero Mesh Version Tank consist the Geekvape Aegis Legend Kit. This kit requires dual 18650 batteries for max 200W power. You need to buy the battery separately. The Aegis Legend MOD and Aero Mesh Version Tank consist the Geekvape Aegis Legend Kit. This kit requires dual 18650 batteries for max 200W power. The Aegis Legend MOD comes with the brand new AS chipset with color display and system protection, like waterproof, shockproof, and dustproof for safe using and long lifespan. What's more, it is firmware upgradable with a USB cable. About the Aero Mesh Version Tank, it is a typical top-filling and bottom airflow tank with the unique 0.2ohm mech coil, aiming to offer you the best flavor and massive cloud with the Legend MOD. • It doesn't come with e-juice or battery, which you need to buy separately. • 3 months warranty for the Aegis Legend MOD and Aero Mesh Tank. Love the hand feel. Comfortable tokes. Im ambidextrous, so the symmetry of the build being comfortable to switch hands throught the day as I need it is so exquisite. If I had to choose a downside its that purple is not a given color option, but i absolutely love purple and in comparison thats being nit picky because even with my getting rainbow im thrilled with my purchase. The mod is a great upgrade from my smok alien 220. More durable, less stress on when and wheee I vape now. Element vape was fast to respond to my questions and had my kit sent out to me fast. 10/10! A very compact kit. It is so portable and you can take it with you wherever you go. Exactly the same as described on online store. Water-proof, shock-proof and dust-proof. So just take one. Девайс мощный, красивый, производительный, с богатымм функционалами. Самое главное - цена низкая! This small kit can support a huge battery capacity and the quality is undoubted. I am very happy with the geek vape mod and the highest quality! Its the real deal! Just takes a month or so to recueve the product but is very much worth every minute of the wait. Thanks to buybest.com for being loyal and real. Ill definitely be ordering more stuff alot more! Awesome ratings all around!! !